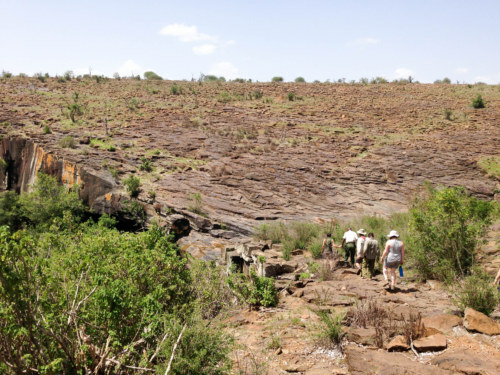 Home|From Mpala to Turkwel, it’s heating up! Welcome to our second blog post! 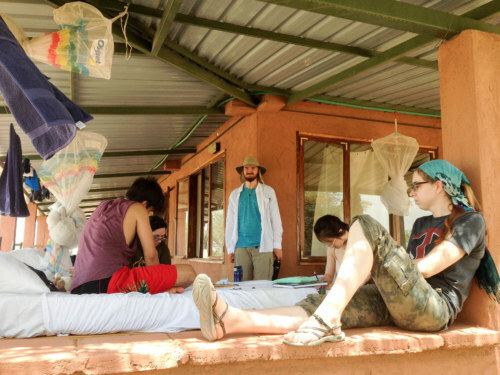 The students have now arrived at Turkwel, the Turkana Basin Institute Research facility on the West side of lake Turkana. 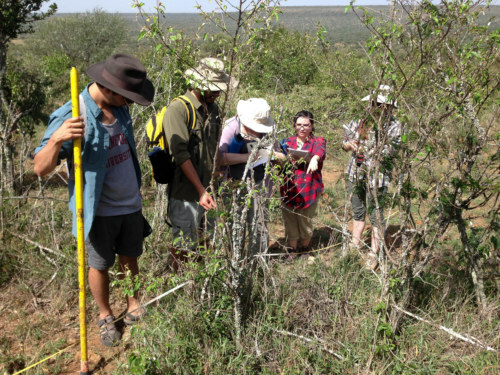 Before we made our way out here, we spent our remaining time at Mpala studying the ecology of African bushlands. 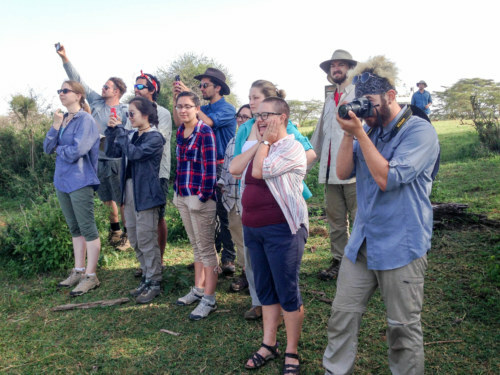 The classes at Mpala introduced our students to a variety of different ecology projects, taught by experts in a wide range of fields. 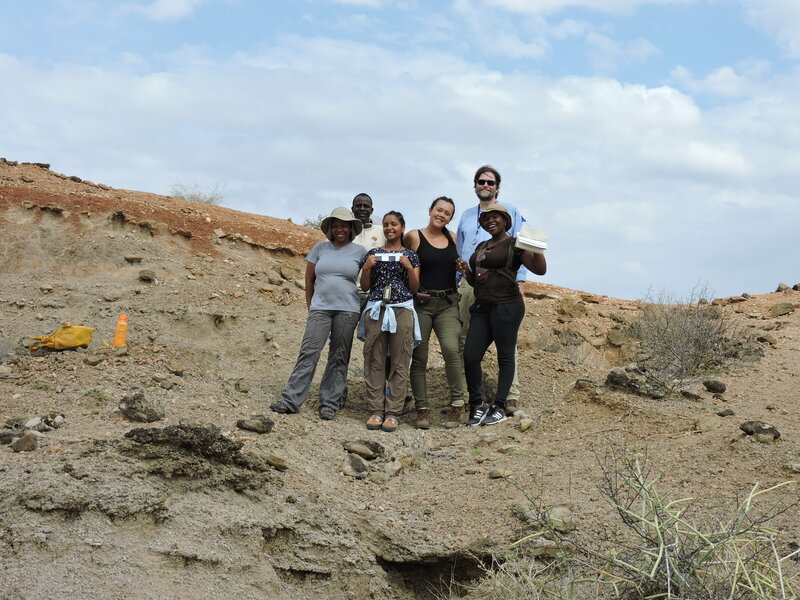 On our second day, we went out into the field with researcher Kimani to help him with his data collection. 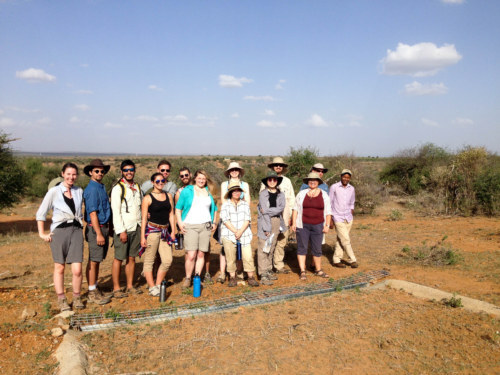 Kimani’s research focuses on the differences in land-use between camels (domesticated) and giraffes (wild), which are both present at Mpala. 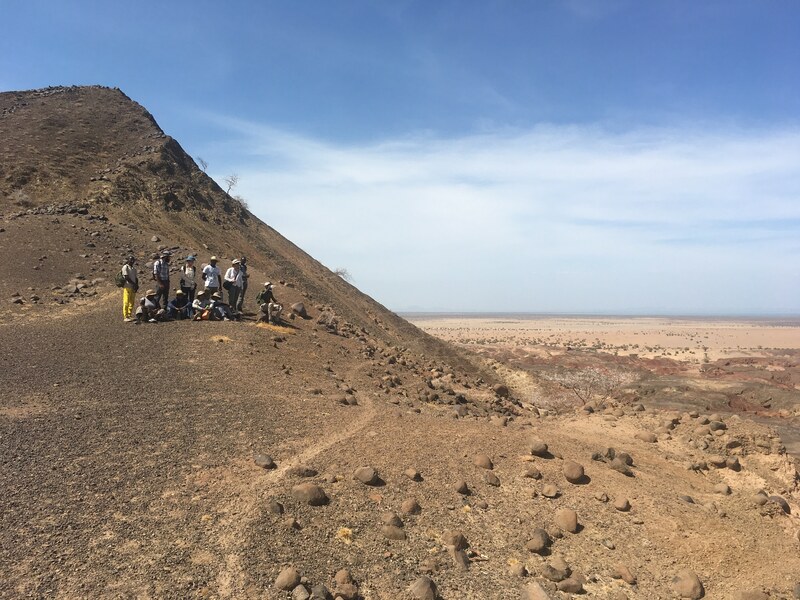 Our whole team loaded into the truck and drove out to a hillside that Kimani knows is often used by giraffes. 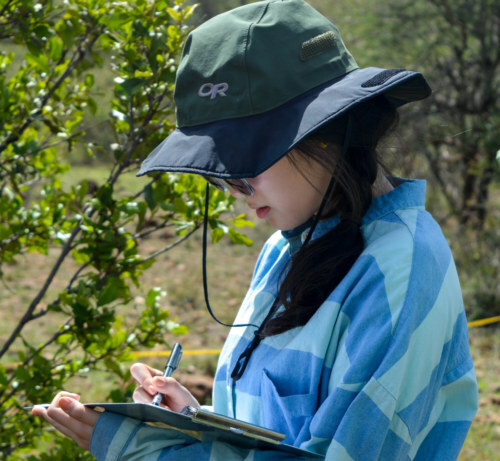 We then set out transects (50m long wire up the hill) and measured each tree that crossed the transect (species name, crown height, crown length), and repeated the whole process a couple of times. 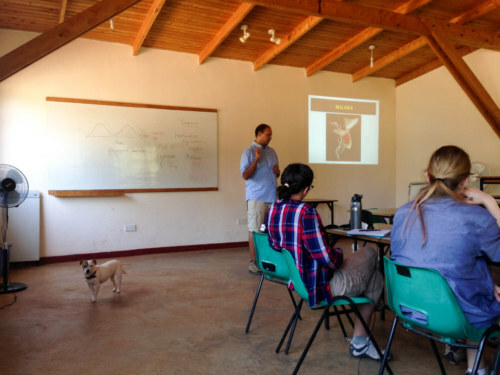 Back in the classroom we input all the collected data in Excel for Kimani to analyze later. 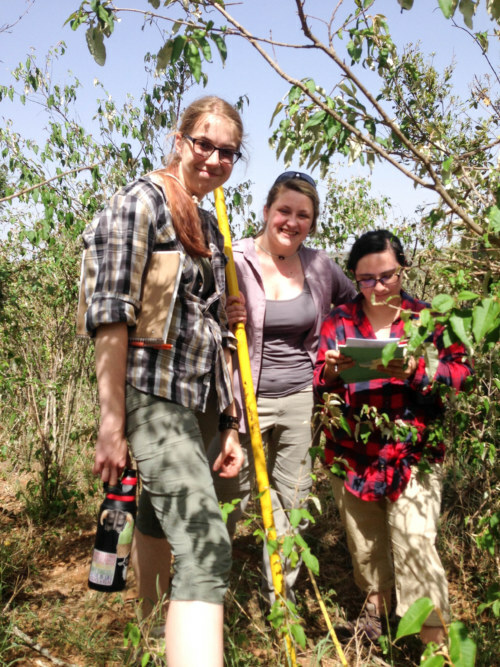 (From left to right) Evan, Ryan, Kelly, Adrianne, and Karolina work together to collect important data for Mpala, utilizing species identification skills learned in class (photo credit: Dorien de Vries). In the afternoon, we joined Dedan on a wild dog chase. 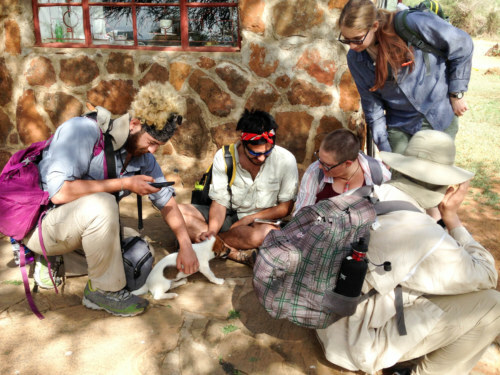 Wilson’s research is on wild dogs and the role they play in the spread of rabies. Dedan has collared some wild dogs and we went out with his GPS tracking system trying to locate a group of wild dogs. 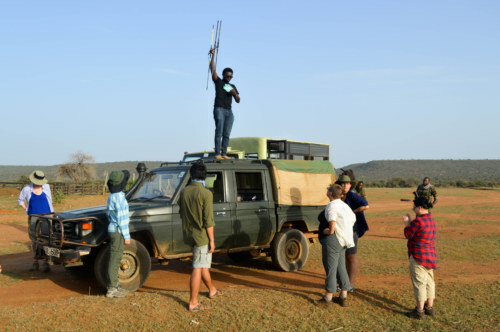 Unfortunately, we were unable to see the collared wild dog, although some students got a chance to track the signal of the collared wild dog through the open roof of Wilson’s four-wheel drive. On our third day, we started our day with a visit to the water hole (http://mpalalive.org/live_cam/wateringhole) that’s usually filled with a group of hippos. We were lucky and arrived just in time to see a large group move from the land into the water, where they rested for the coming 30 minutes that we spent there watching their relaxed bathing. 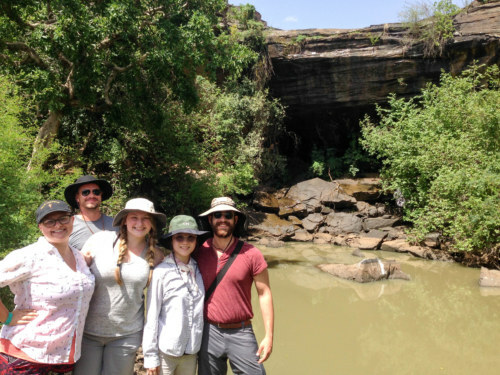 On our last day at Mpala we went out to an archeological site – paintings in a rock shelter that is still being used by local pastoralists today. 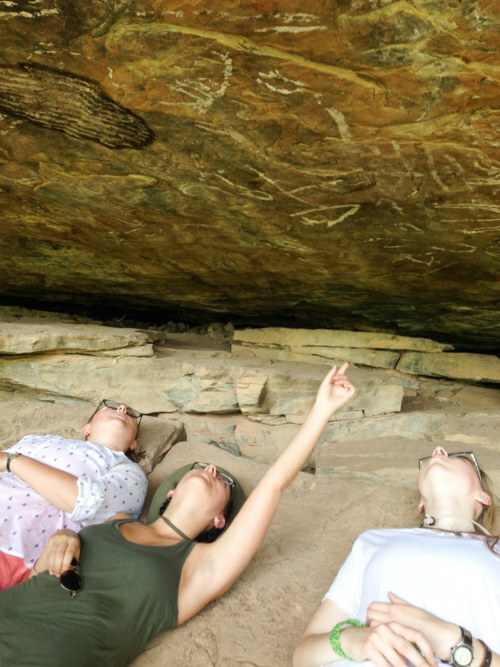 We hiked to the cool and shady rock shelter, the ceilings of which were covered by white and red colored stylistic drawings. 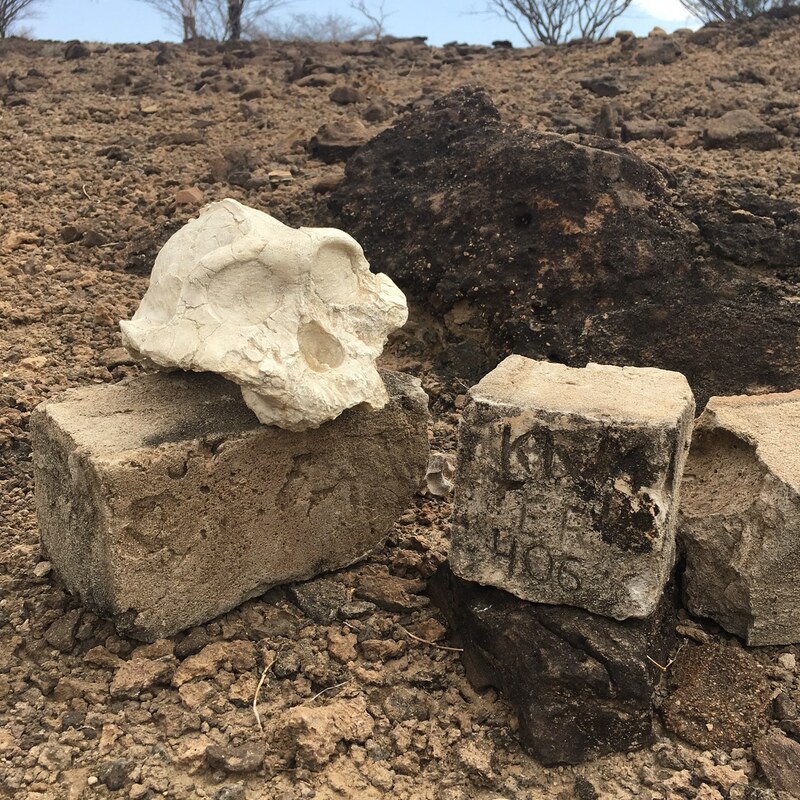 Field school director Dr. Jason Lewis talked a little bit about the kind of archeological site we were at, one that has been used through time by different people and different animals, and the problems they pose for archeologists trying to reconstruct what happened at these sites. 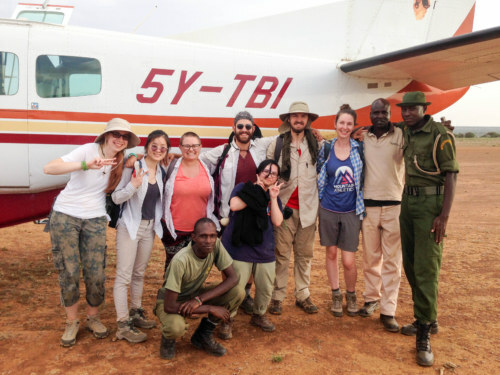 In the afternoon, the students took the TBI plane to fly to Turkwel, where we will spend most of the remainder of the field school. During the flight we could see the lands below us slowly change from green bushy lands of Mpala Nature Reserve in Laikipia to the much drier desert of Turkana. 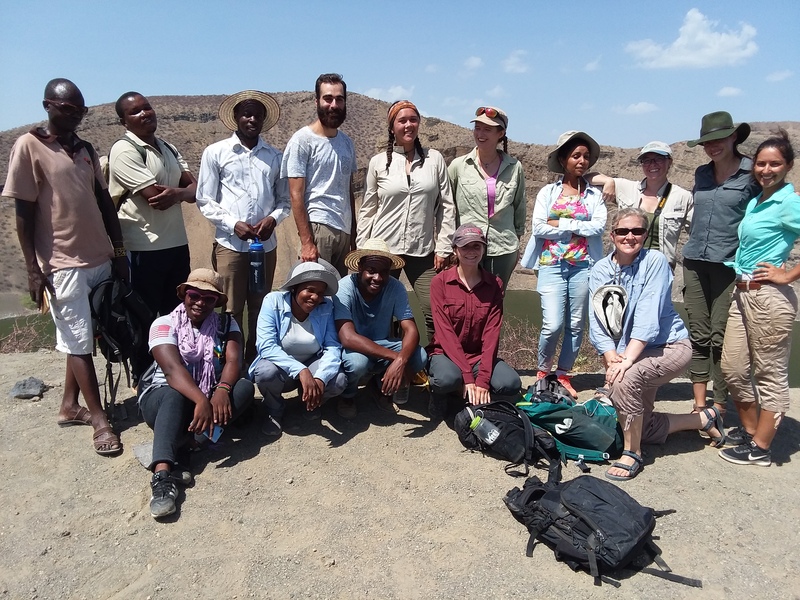 We arrived at Turkwel in time for dinner and took it slow to acclimatize to the considerably hotter climate in Turkana compared to Mpala. Students moved their beds onto the porch so they could enjoy the natural breeze during the night. 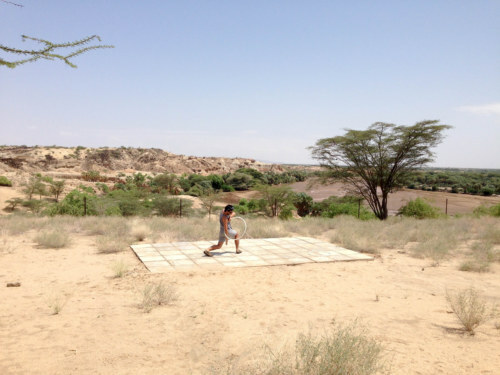 Our first day continued to be slow-paced as students played some games after breakfast, washed some clothes, and explored the TBI Turkwel Campus. In the afternoon, we started our first lecture on the role of ecology and climatic changes in mammalian and human evolution by Dr. Lewis. 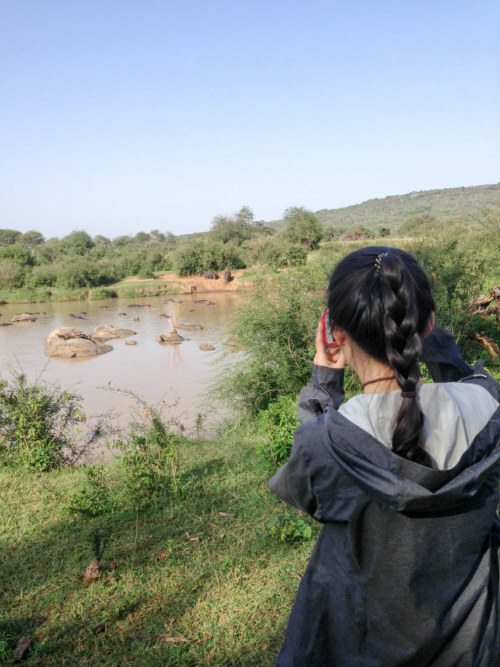 We have now reached the first week mark, and the students have adjusted brilliantly to life in Kenya. 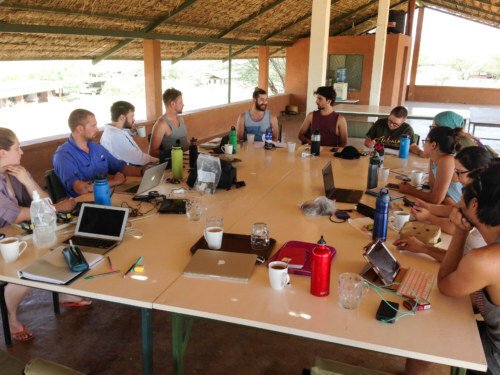 Our program has been fast-paced up to now, and it is time to take a little step back with a bit more free time for adjusting to this hotter and drier climate at Turkwel. Students have had time to explore campus, to do some laundry, and to play some games. During class, all students are still very excited to learn about everything around us and continue to ask questions at the end of every lecture. 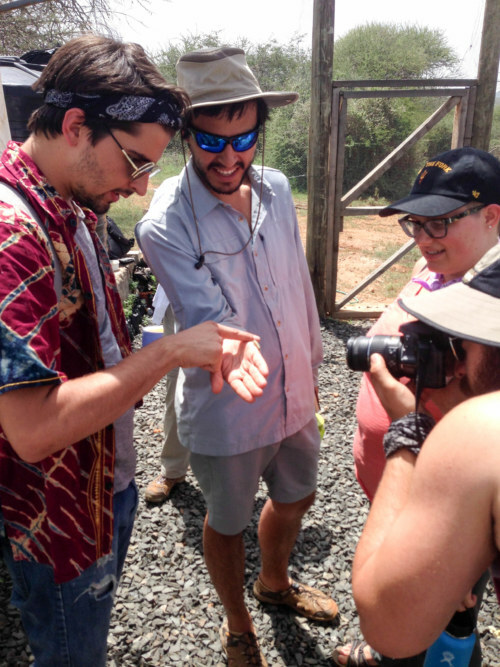 Today, Dr. Lewis has introduced the students to general mammalian osteology, and all students are quickly becoming experts on identifying what bones belong to what animals and what they can tell about their behavior. 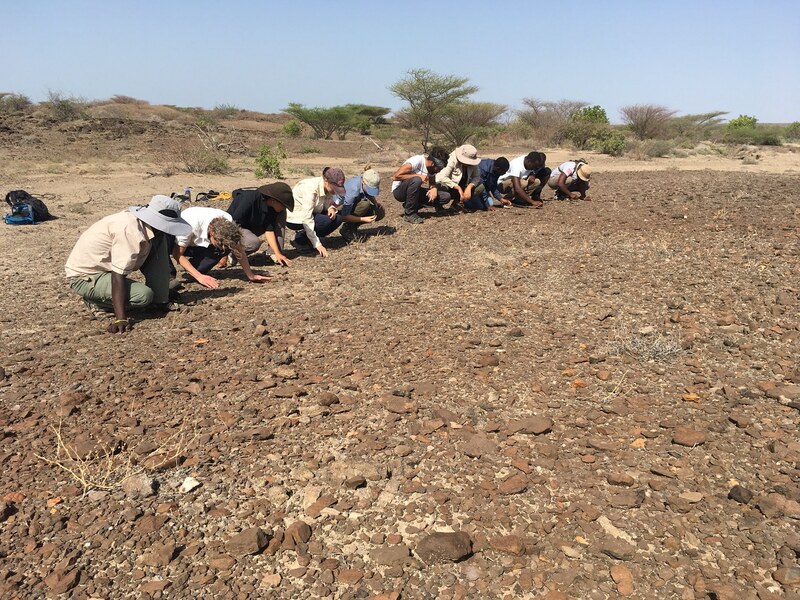 This will become a crucial skill soon when we start exploring the surroundings of Turkwel campus and find lots of recent and fossil bones!